Kidz In Motion is now looking for part-time and full-time teachers and support staff to join our team. If you are energetic, fun, caring, organized, and have a passion for childcare, Kidz In Motion is the place for you. Must be comfortable working in a family like atmosphere, have an open mind, and be willing to bring new ideas to the table. Hours may vary based on scheduling and needs. We are willing to work with school schedules. Great benefits: paid time off, paid holidays, onsite training, we support T.E.A.C.H, and many more. 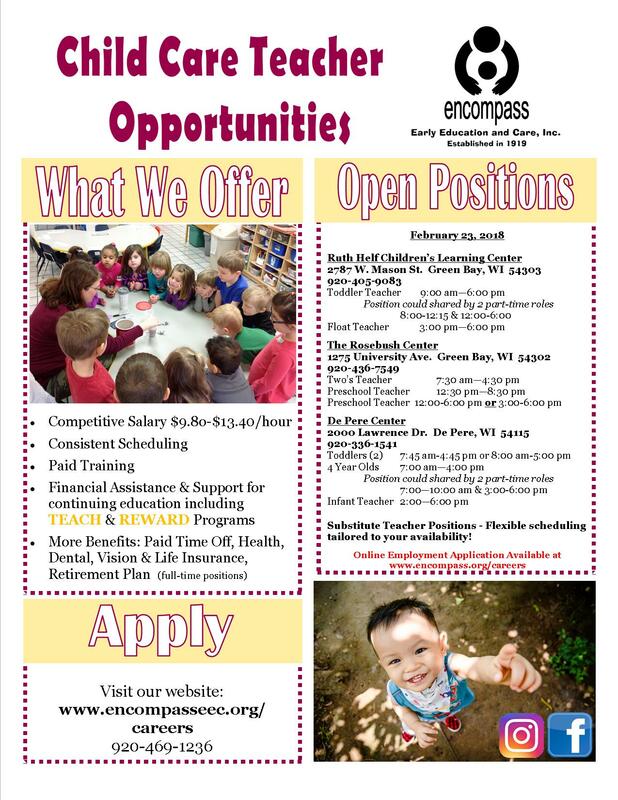 We are open Monday – Friday 6:30 a.m. to 5:30 p.m.
NEW CHILDCARE CENTER OPENING SOON! 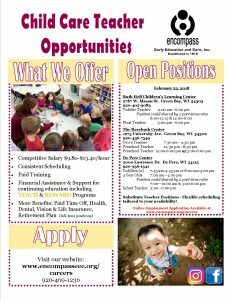 Forever Young Childcare Center, soon to be group licensed, in Bellevue, Wi, is looking for Childcare Teachers to encourage the healthy intellectual and psychological growth of the children in our facility. You will teach and supervise them while also motivating them to use their mental capacities and exercise their imagination. Email foreveryounggreenbay@gmail.com for even more information! Looking for someone who is lead teacher qualified and at least a Level 9 on The Registry. Substitute Teacher Positions – Flexible scheduling tailored to your availability!